Recently Boxing News and Views had the chance to catch up with undefeated super-middleweight Caleb Plant of Las Vegas. 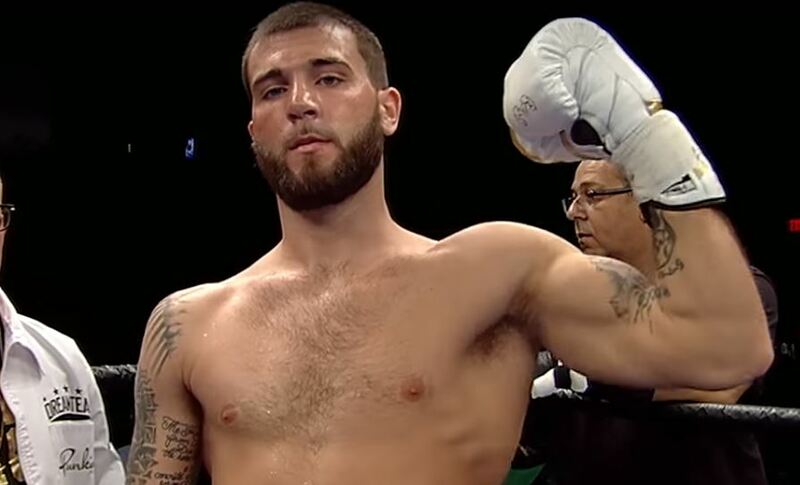 Caleb Plant (16-0-10KO) not long ago scored a unanimous points decision over Andrew Hernandez at the Hard Rock Hotel in Las Vegas and is now on the lookout for his next opponent. We caught up with the Premier Boxing Champions fighter to talk all things his career, boxing and his future plans. First off, I know you are based in Las Vegas, so I wanted to ask what the feeling has been like from folks in the boxing community since the horrific shootings that took place? It must have been a shocking time to be in Las Vegas? Everyone at Boxing News and Views sends their thoughts and prayers to those in Las Vegas. Caleb Plant: Yes, it’s been a very trying time here in Las Vegas, but our community came together in support of all the victims and their families. #VegasStrong is exactly what it says, a strong community of great people. We must not let this event stop us from living our daily lives. We can’t live in fear. Following your unanimous points decision victory over Andrew Hernandez at the Hard Rock hotel, how did you access your performance post-fight? Caleb Plant: I thought I did above average against Hernandez. He was a very durable opponent. He came to fight, but I dominated every round. The experience I got from this fight will only make me better as I move forward in my career. These are the type of fights that prepare you for the big stage. Are you looking to box again before the end of 2017? Are there any opponents in particular you have your eye on to face next? Caleb Plant: It looks like I might be fighting sometime in December, but nothing is confirmed yet. If so, I’m hoping to fight a top contender or a big name. David Benavidez is someone I see myself fighting at some point. All the champions in my weight class are on my radar. You are now 16-0 in a super-competitive 168lbs division. Have you been watching the World Boxing Super Series fights in the super-middleweight class since it started and what do you think of the tournament as an idea for boxing? Caleb Plant: Anytime you can get a bunch of good fighters competing in a tournament its a good thing. It lets everyone know who the top dog is in that tournament. With that being said, not all the best fighters at 168lbs are in the World Boxing Super Series, but whoever comes out on top will be a valuable commodity. I think it’s good for boxing. Finally, where do you hope to see yourself in your boxing career this time in 12 months? Caleb Plant: I’m hoping to be a world champion by this time next year. I have a very difficult road ahead of me to accomplish that goal, but I have confidence in myself to get it done. I’m working very hard everyday with the vision of becoming a world champion.